Many say Ryde is the ‘classic Australian suburb’. Businesses are thriving, demand for property is high. This Sydney suburb though doesn’t just pulsate with economic activity. It also has a lot to offer in terms of natural beauty and outdoor activities. Its proximity to Lane Cove National Park means you can do bushwalks and picnics as often as you wish. Here’s something to think about if you’re from Ryde: Why not add a patio, pergola, sunroom or deck to your house to enjoy the area’s natural beauty and to also increase your house’s curb appeal, increasing the value of your property? There are so many beautiful houses in Ryde. Most of the standouts have some things in common. They take their outdoor living spaces to the next level by adding great-looking patios, pergolas, decks, and sunrooms. If you are about to embark on an outdoor transformation project, then it’s high time you talked to an Urban Exteriors design consultant for practical advice. Urban Exteriors is your local go-to professionals for outdoor transformation projects. A family-run business, it has 40 years experience and prides itself in providing friendly customer service and high-quality work. Patios and pergolas by Urban Exteriors are beautiful to look at and durable at the same time. The framing and roofing materials used are of premium quality. 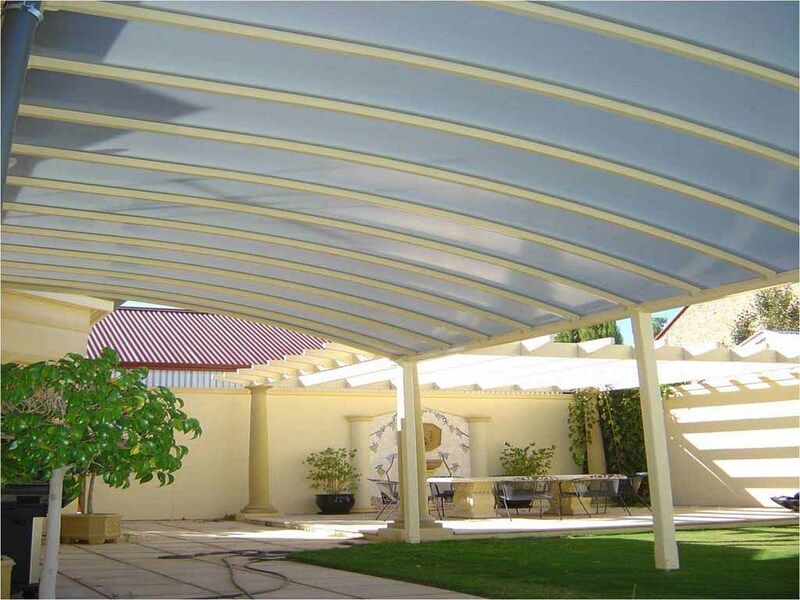 For some of our clients, the Colorbond roofing solution for patios and pergolas is the perfect choice. It is a low maintenance and durable roofing solution which comes in a range of powder coated colours. It has been proven and tested for over 45 years so it is guaranteed to provide excellent results for your outdoor transformation project in Ryde. A simple way of increasing the curb appeal of your house in Ryde is by adding a deck. Urban Exteriors uses high quality steel flooring solutions for our decking projects. Being termite proof and with high bushfire ratings, it is easy to see why our clients love it. We offer choices for decking materials such as hardwood, aluminium, and HardieDeck. Check out our decking solutions page for more details. For practical advice on outdoor transformation projects, call us now and talk to a design consultant.